2014 Group show in Kavachnina Contemporary, Miami, Fl. 2014 Show in Art Southampton Fair, New York. 2014 Show in AG Contemporary Art, New York. 2012 Show in AG Contemporary Art, New York. 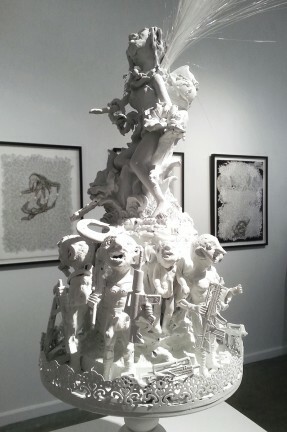 2011 Show in AG Contemporary Art, New York. 2010 Solo Show in AG Contemporary Art, New York. Group show in AG Contemporary Art, New York. 2009-2010 Show in Dalet Gallery, Philadelphia. 2008 Group show in Van Der Plas Gallery, New York. 2007 Show in Grant Gallery, New York. 2006 Solo Show in National Arts Club New York. Group show in AG Gallery, Moscow. Solo Show in Grant Gallery, New York. Group show in Van Der Plas Gallery, New York. 2005 Show in Grant Gallery, New York. 2003 Show in Grant Gallery, New York. Auction -Benefit. UJA-Federation of New York. 2002 Solo show in Grant Gallery, New York. Solo show in Broome Street Gallery, New York. Auction -Benefit. LEARNING THROUGH THE ARTS Houston, Texas. 2001 Solo show in Grant Gallery, New York. 2000 Solo show in Grant Gallery, New York. 1999 Solo show in Grant Gallery, New York. Solo show in Artmosphere, Palm Beach. Fl. Solo show in SVG Collection, Nantucket. MA. Solo show in Gallery 54, New York. 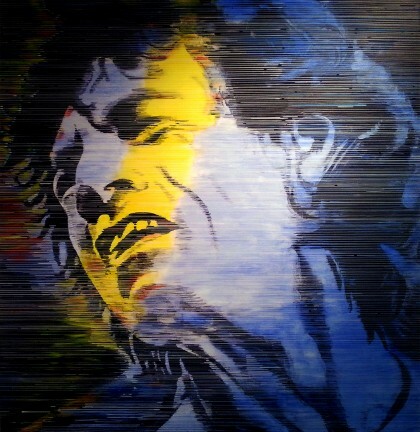 Painted several murals in Amsterdam, Rotterdam and Arnhem, Holland. 1998 Solo show in Gallery 54, New York. Solo show in Artmosphere, Palm Beach, Fl. 1997 Solo show in Gallery 54, New York. Group show in World Bank Art Society, Washington, DC. Group show in Hofstra Museum, Hempstead, New York. Group show in SVG Collection, Nantucket. MA. Group show in Lincoln Center, New York. 1996 Solo show in Salon New York. Group show “The Book” 2/20 Gallery, New York. 1995 International Art Show, Hong Kong. Solo show in Gallery Du Palace des Congress du Vinci, Tours, France. Solo show in Benedetti Gallery, New York. Group show in Mimi Ferzt Gallery, New York . 1994 Solo show in Philip Mouwes Art Gallery, Amsterdam, Holland. Personal exhibition at the Amsterdam Opera. Group show in Develin Gallery, New York. Group show in Albright-Knox Museum, Buffalo, NY. Created murals at the Columbus Hospital, New York. 1993 Solo show in Ergane Gallery, New York. Group show in China Club, Hong Kong. 1992 Solo show in Ergane Gallery, New York. Group show in Robert Dana Gallery, San Francisco. Group show “Freedom of Expression” at Metro Pictures Gallery, New York. Group show “Gorbachev from the Artist Perspective”, Ohio State University. 1991 Solo show in Maya Polsky Gallery, Chicago. Group show in Beaulieu Museum, France. Solo show in Ergane Gallery, New York. 1990 Solo show in Bettal Gallery, New York. Group show in Suzanne Dey Gallery, San Francisco. Group show at Golda Meir Association, New York. 1978-90 Participated in exhibitions at the Artist’s House, Moscow. Three group show in Graphic State Committee, Moscow, Russia. 1978 Awarded membership to the Moscow Union of Artist.